Fourth of July is days away, which means it’s time to break out your best patriotic outfits. 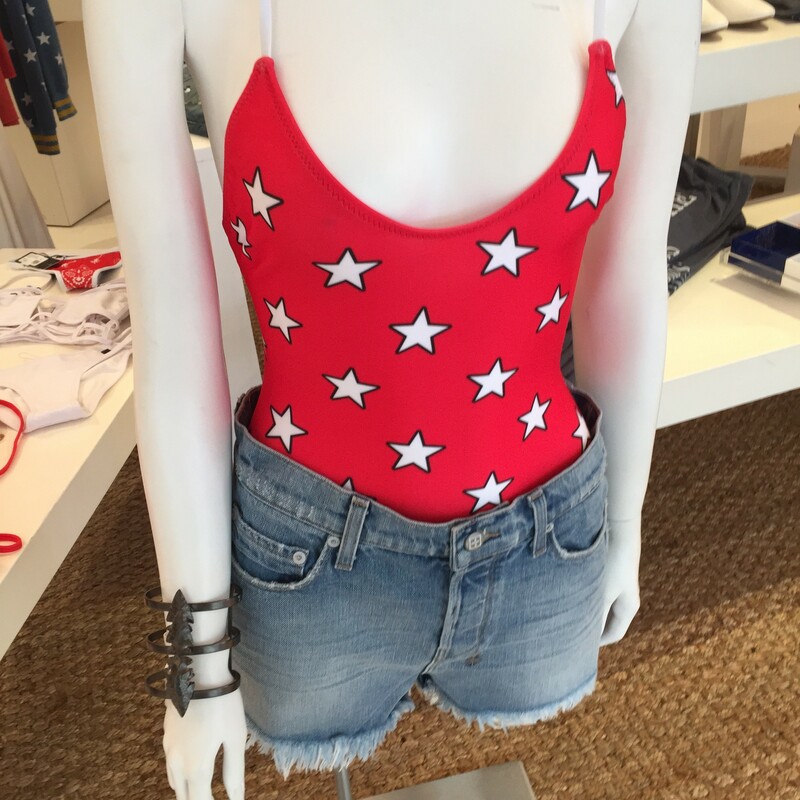 This weekend in the Hamptons, stars were out in so many stores- from sweatshirts to swim suits! But, have you ever seen those people who go a little over board? You know what I’m talking about! I’ll admit, I am the first to get in the spirit- and I search well in advance for a new fashionable flag shirt every year! 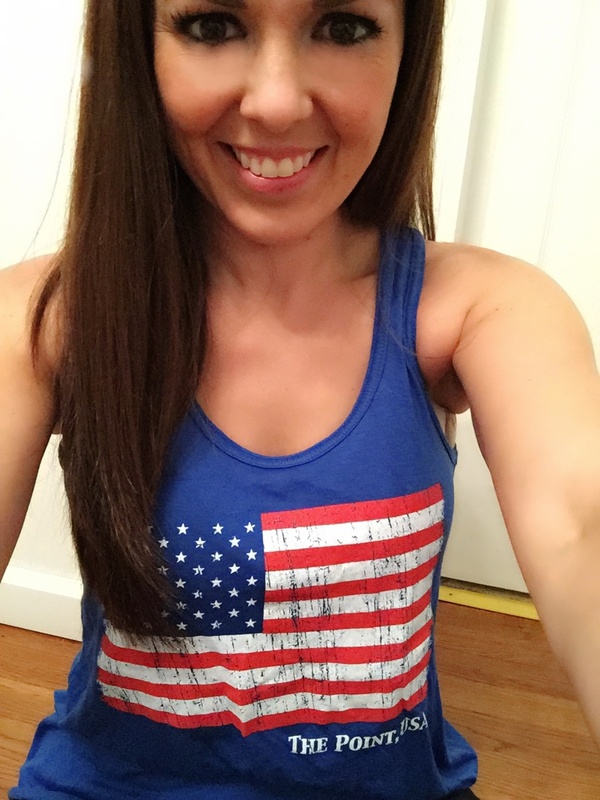 In fact, this year, I helped my husband design one with a vintage flag feel to sell in his restaurant- and I took a quick selfie to show you the blue one I’m wearing today for our town’s (Point Lookout) fire works! Debating on wearing with white shorts or rocking my red jeans…. I’ll save the camo tank version for next weekend! 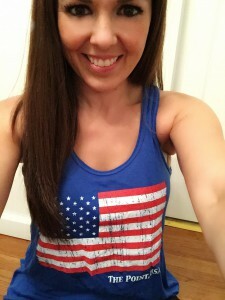 Here are other ways to show your love for the U.S.A. in style! 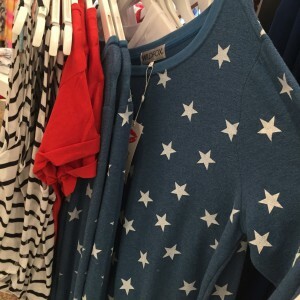 This summer staple is super important for your Independence Day outfit. You can pair your white bottoms with almost anything and be ready to party! But, for this holiday, try pairing them with a solid red or blue blouse! Easy! Who doesn’t love a maxi dress in the summer? You can wear a red, white or blue dress and be ready for the celebrations. I love this blue Adelyn Rae Crepe Maxi Dress that is available in red and blue, too! Bonus if you accessorize with a flag print summer scarf! This is my favorite look. Printed pants are one of the hottest summer trends. The Island Escape Beach Pant from Billabong is perfect for the Fourth of July! You can pair these pants with a white crop top and wedges, and get ready to celebrate! I paired my pants with a navy tank, my favorite white Stella & Dot necklace, my Glam Slam Gear off-white wristlet, and my best white blazer! 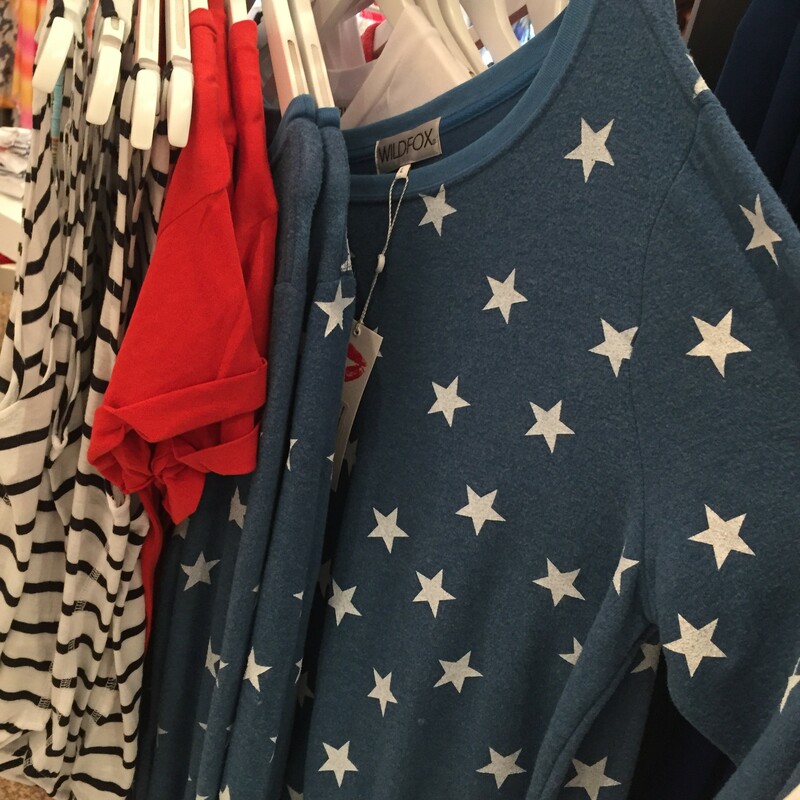 Do you have a favorite outfit for the 4th? Tweet me your favorites @ElisaDiStefano!